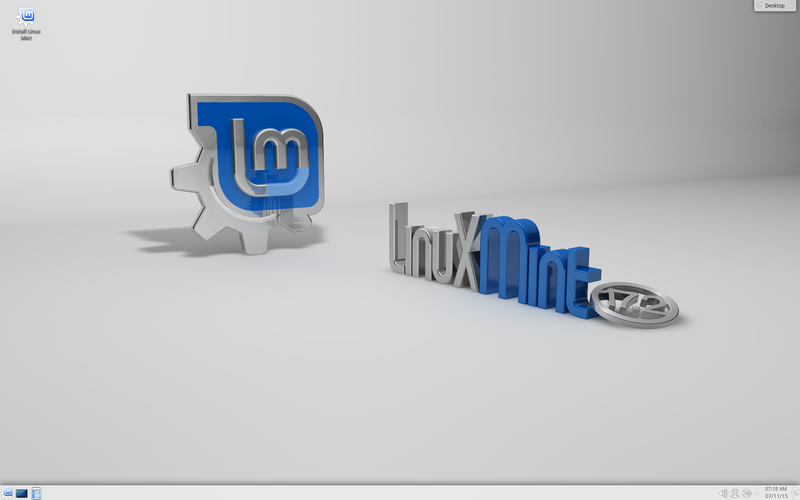 Linux Mint 17.2 “Rafaela” KDE RC released! The team is proud to announce the release of Linux Mint 17.2 “Rafaela” KDE RC. For a complete overview and to see screenshots of the new features, visit: “What’s new in Linux Mint 17.2 KDE“. Previous Previous post: Linux Mint 17.2 “Rafaela” Xfce RC released! Hi Clem, congrats for the great job. Sorry for the noob question: if I install the RC now, once it’s patched with all the updates that will be released during the testing period, will it be the same as the stable version? Edit by Clem: Yes (I can’t say for sure at 100%, it always depends on the fixes, but in theory yes). Will the option be available soon in 17.1 to upgrade to 17.2 from the Update manager…right now, I dont have the option yet. Edit by Clem: Yes, after the stable release. Can you install the kde desktop if you have the cinnamon desktop already if so how? Edit by Clem: Yes, probably by installing kde-workspace, plasma-desktop..
Rick Hunt, it was available before (in 17 ->17.1 change), so idk why would anyone think otherwise now. Like a lot of Linux distros I’ve been playing around with lately, Linux Mint 17.2 KDE RC fails to boot properly on my system. I get a black screen with no way to get out of it. Booting in Recovery Mode, the last thing it says is “[2.380286] fb: switching to nouveaufb from EFI VGA” and then it just stops. I’ve never found a solution to this problem. This is probably my last time I’ll try getting a solution. Can anyone help? Edit by Clem: It sounds like the GeForce issue, it’s documented in the release notes. Hi Clem. First, thanks for your time and for your excellent work. Is correct 4.13.2 or 4.14.2? Thanks in advance. Thanks for your excellent work. Edit by Clem: Hi Dani, it’s definitely 4.14.2, you can see it in the package versions and also if you do dolphin->Help->About KDE. I’m not sure why kinfocenter thinks it’s 4.13.2. Konjad, Thats what I thought too, that I should be able to go from 17.1 to 17.2, maybe I am doing something wrong. I googled it and it said there should be an option in Update manager under edit to upgrade to 17.2…but its not there, all I have under edit is “Preferences” and “Software Sources”..no option to Update to 17.2. I know thats the way I went from 17 to 17.1…but its not there now. Edit by Clem: That upgrade path is only open to users of the Cinnamon and MATE editions at the moment. It will be open for Xfce/KDE after their respective stable releases. Edit by Clem: There’s really no need for sarcasm like that. It is said that cinnamon update have improvement such as queuing while copying multiple files , does KDE update too have that features? THANKS for your great job , I have been using mint kde for about 6 months. Edit by Clem: This was specific to Nemo, the Cinnamon file browser. Geez that actually worked. Not sure how but it did. At last I can install stuff again! Edit by Clem: We looked into using it for this release and decided to stick with the stable version again. There’s a few reasons why it makes more sense for us to wait for Linux Mint 18 before engaging with Plasma 5. There’s no upgrade path… that’s not cool for an LTS series. It’s not packaged upstream for trusty.. that doesn’t stop us from being able to package it ourselves (we do so for Cinnamon and MATE for instance), but in the case of KDE we’re talking about a huge number of packages and stats place this edition at roughly 8% of our user base, so it’s a big task and it’s a bit beyond the scope for this edition. Finally it’s not stable yet, at least not as stable as version 4 and that doesn’t go with our mission which is to stay behind a bit and rely on mature versions rather than bleeding edge software. Great! Thanks! Glad to see this out. I am sure the Mint team is doing a fantastic job as always on the engine in those updates, but as a suggestion, can 17.2 drop the depressing grey theme ? I know you can customize about everything after and that’s what “linux” people do but sincerely, the original theme does look “drabe” and hide the full potential of KDE to newbies. Other distros have a more colourful theme at install like let say Ubuntu. P.S. I do hate grey cars ! Oh, thanks the dev team! @8 – Dani: Let me take a stab at answering your question, although I’m no expert (although I am a big fan of KDE and Mint’s implementation of it). “KDE platform” is just one part of KDE 4. The other two big pieces are “KDE (plasma) Workspaces” and “KDE Applications”. The version number you see in the generic “About KDE” dialog box is the version number of “KDE Platform,” 4.14.2. KInfoCenter is showing you the current version number of the “KDE Software Compilation” (“KDE SC”), 4.13.2, which is all three parts (platform, workspaces, and applications) put together. It can have a different version number from KDE Platform 4.x. Edit by Clem: It’s pretty confusing and it changed over time too.. “KDE” which people see as a desktop environment was described more and more as an entire platform/framework during the 4.x cycle. Nowadays “KDE” refers to the project itself, i.e. the people behind the software more so than the software itself. There’s a real effort for instance to name the next DE “Plasma 5”. When it comes to KDE SC though, we should have a 4.14.2.. look at https://www.kde.org/info/4.14.2.php for instance, which “contains” the versions of packages shipped in this release. @Rick & Konjad …and anyone else who’s wondering. You won’t find the option in the update manager to update from 17.1 to 17.2 until a few days AFTER the final release comes out. That’s how it was for updating from 17 to 17.1, and as a user of Mint Cinnamon edition, that’s how it was for Cinnamon. We got that option about a week after the final release of the Cinnamon edition of Mint came out. Hope that helps. why mint haven’t kde plasma 5 yet ??????????? Edit by Clem: See comment 15. Hello, I wonder whether they will fix the installer error. When you start the installation the installer break and have no way to install at least in virtualbox. Hello. This installer is not working or in Virtualbox or the PC. I have another doubt: KDE Mint with PLASMA 5 will be released this year ??? This one already mentioned on IRC, as per advice, mentioning it here in case it’s easier to keep track. Wastebin icon glitch while using context menu ‘Add to Desktop’ (also happens in 17.1). Upstream issue? ‘Add to Panel’ works as expected. Thanks Clem (et al.) for all your hard work. Edit by Clem: Hi David, it looks upstream. There’s a desktop widget for this though (desktop->right-click->Add widget->Trash), and its icon will dynamically reflect the status of the trash then. Any Approximate date for the final release? I really want those Nvidia Optimus upgrades in my laptop. Is Klipper started by default like in 15(olivia) or do I have to manually invoke it like I do in 17.1(rebecca)? What is the cause for change for this convenient tool not being initialized by default? Edit by Clem: Hi Sam, no policy change on this on our side afaik. Maybe it was changed upstream by the KDE devs? Without KDE 5 yet? You should not limit the options for users, you should have included KDE 5 of base, who would stay with the version 4 what stay with Mint 17.1, and reatins this version. You are going to be the single largest distribution without KDE 5. Very bad desition in my opinion. I love this version of KDE, but has many important shortcomings, and you do not know risk. But that’s the beauty of Linux, if you do not like the desicion of a distro, you can go to another. Please note Clem’s remark on this matter. It can be found in comment 15. IMHO, the glaring point is in regard to the fact that KDE only holds 8% of the overall Mint user base. I hate to oversimplify, but how “bad” could a decision be when it only impacts 8%? I know, I know, I would feel different if it were me. But truth is, no I wouldn’t. At some point we have to realize that our personal likes and dislikes may not always be catered to for one reason or another. But Clem didn’t say he was shutting it down either. He just wants to take a more conservative, and “makes good sense” approach, and one that lines up with the overall goals. Do anyone know, whether or when this update will be available in the mint update tool, so I can update my running system? thx a lot! Awesome job! Waiting for stable release. Thanks. It is ok. I should not have jumped on you … it is just that people are a little hasty and careless at times, and that definitely includes me. 🙂 My apologies. We all love Mint distributions, especially XFCE and Cinnamon in my case … And when they are ready, we will all update, I guess. I finally came back to Linux Mint after using Fedora for some time. Fedora was unstable after all. Horrible actually. Disappointing. Now I installed Mint 17.2 RC and this works like a charm. I haven’t noticed any bugs at all. Seems to be very stable and smooth. Thanks for your work, again. I for one have downloaded KDE many times to try it out in it’s current state, just for grins. I don’t like it, so I delete the partition. On the other hand I download LMDE once or twice, (with Mate), I keep it and use it for years. SO, if anybody (ANYBODY) has a scientific method for more accurately determining the user base, please share it. Until then a variation of 5% is a simple statistical anomaly. Just received my Dell I7548 laptop, ( from BestBuy ), and installed Mint Cinnamon. It is over the top. Even the touch-screen on this new computer works in Linux! Looks like I don’t need to wait for the Windows 10 upgrade LOL. For what it’s worth I use CentOS, Ubuntu, and all kinds of crazy Linux, and Mint is one of the best desktop distros bar none. First login after a system start up or reboot all works well. If I log out (back to MDM) then log in again, the monitors are mirrored and I can’t seem to get them un-mirrored until after another reboot. This was also an issue with 17.1 but I thought I would wait to see if it would be fixed by the new MDM 2.0. Scratch the error in my previous post. After the latest round of updates I am not observing the error any more. Started upgrade. Screensaver activated and upgrade never recovered. Back to 17.1. Waiting for a second chance. What do i have to do to get the instaled working? Nice release!! Thanks! I concur with Mint being the most fastest Linux desktop. I’ve been using Mint since version 12.x and it has always been solid as a rock. Unfortunately, I still have to use Windows to support Linux incompatible applications. I have a 2 year old ASUS laptop that is 4GB of RAM (limited). I primarily operate Mint from a USB stick and reboot to switch over to slow Windows 8 on HD. I would like to convert and make Mint 17.2 the primary OS, and run Windows in a virtual box or something, but then the performance of the entire laptop becomes very slow. It’s an inconvenience rebooting to switch back and forth. If anyone has a smarter and smoother solution, please let me know. I just upgraded my Asus 11.6 inch laptop to Linux Mint 17.2 Mate 64 bit. Works great! Thanks for another great distro. I’m going to donate another $10 to the cause! Finish the update. Works flawlessly. True, there wasn’t much in this new version but a refresh of the Nvida driver was welcome. Now I wish there is going to be a 17.3 with Kde 5 as it is a major refresh of that desktop. Several distros have already adopted it. I know the Mint team is always cautious with new stuff but it is important to move in that direction as soon as possible, because Kde 5 could finally be a serious competitor to windows 10 and move over windows users to Linux. Aye, spoke to early. This happens this morning. Works last night after the update. The software updater, repository and synaptic are broken. >Lecture des listes de paquets… Erreur ! >E: Les listes de paquets ou le fichier « status » ne peuvent être analysés ou lus. Hi, I noticed that mint-update allows KDE and Xfce to upgrade to 17.2. I think both versions are RC yet. Is it safe to upgrade? Just looking at the KDE 17.2 edition. Looks great. I have never had any problems downloading updates from Mint. (17.1 was very easy) After I save a couple more files will download KDE 17.2 Keep up the good work. Just a note to say thanks for your work. It’s stellar. Best distro out there. If your system has 1 GB RAM, as soon as you click on “Install Linux Mint” (after the live DVD has booted) you get a window “Installer crashed”. Seems like 1 GB is not enough, but the installer could just alert you in a more polite way. Increasing the system memory to at least 1,5 GB seems to do the trick. This problem is there since LM 17 at least. I have same errors as Arma and Shafa has. (Steam & Translation-en). And today i got same sort of error something “trusty…” Didn’t screencapture, just changed mirror, so the error disappeared. Probably just temporary fix? Yeah,I know it’s a bit late to the party but a thank you is rarely too late and my thanks to Clem and co. for a great KDE experience. The word on the street is that Plasma 5 is worthy but not-quite-there-yet. It seems to be getting close though. However, widgets will have to be recoded/recompiled for QT/Plasma 5 and that hasn’t happened for a LOT yet, (from my reading online,) software likewise and it will take a while for new versions to be converted over. So here is no immediate software need for Clem & co to jump to Plasma 5. The only app that has made to the jump to Plasma 5 that interests me in terms of updates is Kdenlive and the latest version adds zero new functionality of any real worth over 0.9.8 at this point so I can’t yet see a killer apps screaming for Plasma 5. The upgrade path from Plasma 4 to 5 would be a NIGHTMARE! I can see that. Far better to wait for 18 – though I am curious as to when that is likely to be released. So really, sticking with 4 makes perfect sense for ‘we use what works’ Mint. For those that want bleeding edge there are plenty of distros that do that. Most Mint users like the conservative approach, myself included. I like the fact Mint is not a rolling distro and I know what 17.0 IS! My hat off to the Mint Team. I have run up VM’s of 17.1 and 17.2 and gone, “Not enough to warrant upgrading 3 laptops here” and so I remain in 17.0 – but that’s a testament to how well Mint 17 was handled in the first place so my thanks to all! I am staying stable and happy. Not sure that 1GB is the issue. I have installed Mint 17.0 KDE on my wife’s 1GB atom netbook fine and on two p4’s with 1GB at work – again, no problem. So if the issue is from 17.0 it is not the RAM size. I have also installed KDE 17.1 and 17.2 on VM’s in less than 1GB of RAM and had no trouble. I have been testing in 900MB – no trouble. So methinks it’s something else. When is the release date for 17.2? once again, thanx for the great and excellent work, at all times. 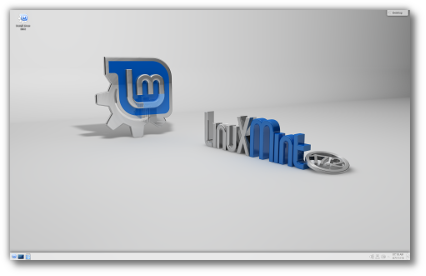 I’ve been a Mint addict ever since Mint9, can’t think in using any other distro. Always having been a KDE user, I’ve tried Xfce on 17.1 but, all in all, KDE has my preference. any date for the 17.2 KDE stable release ?